The Tomelloso cheese factory became an institution in town. Sheep and goat high quality cheeses has been produced since more than 30 years ago, completely handicraft. Thanks to its strict quality control and extreme care in during the production, Tomelloso cheese has become a worldwide reference in Machego cheeses. Around 30 years ago, the Manchego Sheperds Cooperative from Tomelloso, with the aim of producing high quality manchego cheese. The farmers in the cooperative follow strict quality controls in their farms. All the farms are placed in a very small ratio around the cheese factory, so the milk is not being transported during long time periods so its kept in perfect conditions. The implication of the cattle-raisers during the production of the best milk is one of the main characteristics to make Tomelloso cheeses so important and of a exceptional quality. The handicraft production process additive free is crucial for the Tomelloso cheeses to be recognised by cheese experts around the world. - The milk is from nearby, so it is not being moved during long times and thus better keeps all its properties. - Milk which arrives to the factory everyday, which is quickly filtered and preserved to produce a limited number of cheeses during that day. - The rennet process of the milk is the better kept secret of cheese from the cheese Tomelloso master. The expert will give the secret touch to those wonderful cheeses. Each type of cheese has a different and unique elaboration process. - Once in the mould, cheese is drained with a kitchen cloth. This old technique is crucial to obtain a natural and consistent rind avoid over drying it inside. - After getting it out the mould with the unique seal for each piece, cheeses are in water with salt some hours for its perfect healing. - The draining and drying is done in controlled temperature chambers so that the product will homogeneous. Turning the piece during the drying of the cheeses is completelly natural. - With the exact drying for each cheese, this artisanal product is ready to consume and enjoyment for manchego cheese lovers. An important characteristic of these cheeses is in their natural rind, which are not painted using paraffins normally used in machego cheeses. The cheese rind is brushed produced during its natural drying process. Painting the rind hide the possible cheese defects and don't let the cheese breath naturally. Undoubtedly, curying with natural rind produces a different product from natural rind cheese. 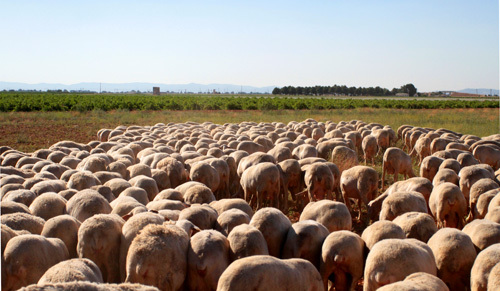 As we have commented before, Tomelloso cheeses are made using sheep and raw cheeses, predomining sheep milk. In order to the best cheeses, milk is extracted and picked up everyday from the farms included in the cooperative in order to guarantee quality of the milk. So that, Milk Quality plan should be accomplished by the farms included. This plan is more restrictive than the one from the administration, so the milk is of highest quallity. Milk Quality Plan is about making health, quality and health controls in the farms included in the cooperative. These controls have been carried out by the veterinary staff of the cooperative and controlled by the administrations. Another important thing to obtain a good quality milk is sheeps graze one or twice a day. Grazing around Tomelloso countryside become animals better fed and more healthy, so the milk will be better. Tomelloso farmers are convinced that correct treatment to animals affects to milk quality and, cosequantly, cheese quality. Moreover, the care of the animal is an important aim for the cooperative and it is encouraged among farmers. 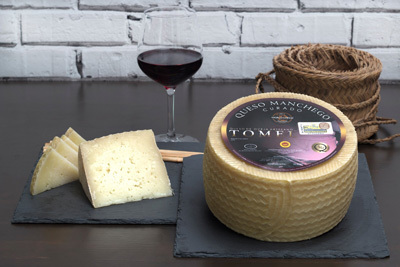 Tomelloso cheeses have a very high quality, thanks to its artisanal method of elaboration, so characteristic. It is important to emphasize those cheeses are 100% naturals, with no preservatives, colourings and chemical additives. Moreover, some of their cheeses are lactose free, which is prefect for intolerants to lactose. Tomelloso cheeses are only elaborated with milk from the farms included with the aim of guaranteeing the quality of the milk through exhaustive quality controls. Moreover, those cheeses have smooth and clean rind. This means the rind has been made naturally and it has not been painted at any moment. The rind of the cheese does not contain neither wax neither paraffins, which means they are suitable for consuming it and made with natural ingredients. The elaboration of those cheeses are traditionally made in order to guarantee the essence of the real manchego cheese, which mixed with the state-of-the-art technology, results those recognised and delicious cheeses. Tomelloso cheeses have been made with raw and sheep milk. Furthermore, we may find special cheese, like for example rosemary cured cheese, with lard, with oil, with paprika, perfect for those intolerants to lactose. About cheese curying periods they may vary depending on the type of cheese and its size. 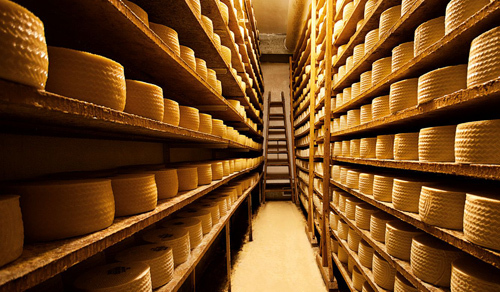 Semicured cheeses dryied between 2 and 5 moths and cured cheeses between 7 and 9 months.